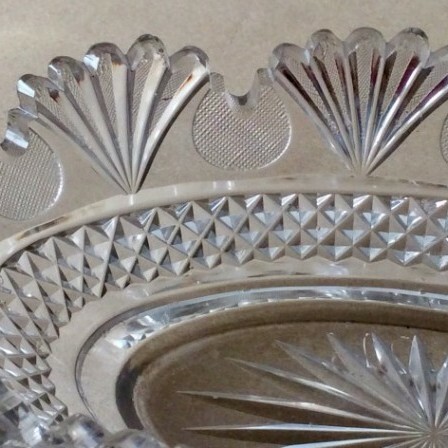 Antique Georgian Regency style cut glass serving or centrepiece oval dish. 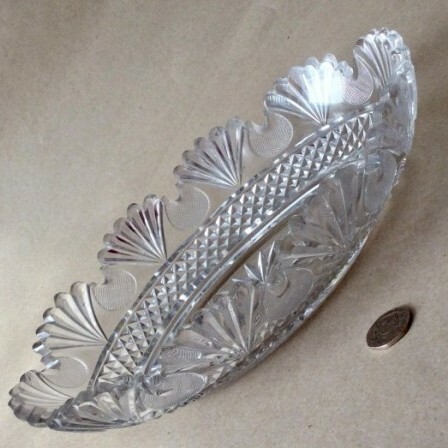 Description: Super oval cut glass dish. The rim fan cut between scallops. The background with very fine diamond cut. This rim above a band cut with bolder diamonds. The curving base step cut to base with star cut. Numerous small nibbles to edges and diamonds. All age related. One chip to fan cut has been blended in. 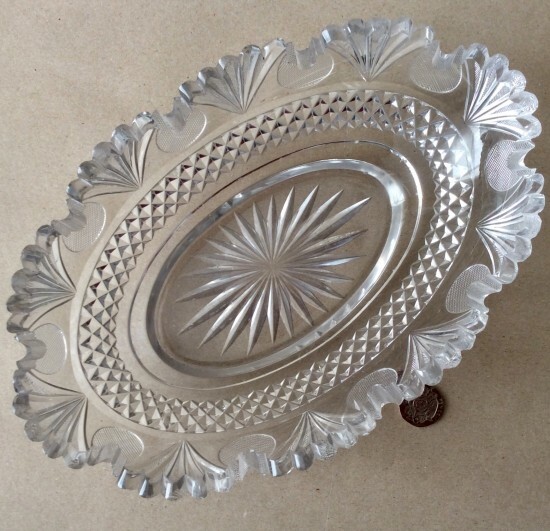 These oval dishes often sat in a silver or Sheffield plate stand.